In August, the pace of home sales continued to improve amid decreasing inventory levels and interest rates below last year’s. This summer’s housing market has presented opportunity to buyers with low interest rates and slower price increases in Queens, helping to alleviate the affordability crunch created by last year’s rapid price gains. Queens Home Sellers remain well positioned in most local markets with price gains continuing, albeit at a slower pace than last year. 30-year rates dropped 3 basis points from the same week of the previous month, continuing this year’s streak of relatively flat and occasionally falling mortgage rates. 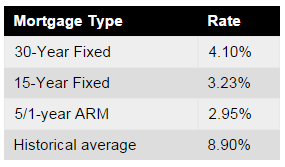 Currently, Freddie Mac reports the following figures: 30-year fixed rate, 4.10%; 15-year fixed rate, 3.23%; 5/1-year adjustable rate, 2.95%. 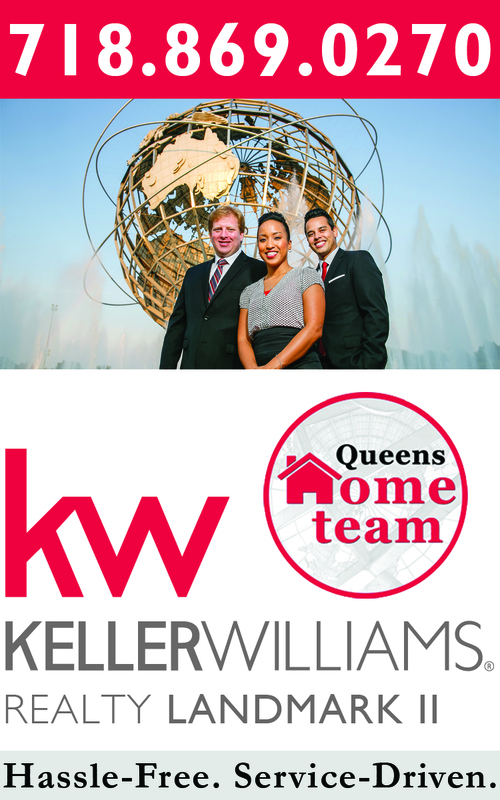 The pace of Queens home sales rose 6.2% in August to a seasonally adjusted annual pace of 792 homes. This is down 10.2% from the same month of the previous year; however, the portion of sales that were distressed is down significantly from last year. This means that conventional sales are likely higher than in August of last year. Residential home sales are down 9.8% from this time last year, Condo home sales are down 32% from this time last year, and Coop sales are down a slight 3.2% from this time last year. Median home prices continued to increase in August, increasing by 3.8% to $401,000. This is up 3.5% from last year, continuing the summer’s pattern of sustainable increases in Queens home prices. Residential home prices are up 11.7% from this time last year, Condo home prices are up 3.1% from this time last year, and Coop home prices are up 6.5% from this time last year. 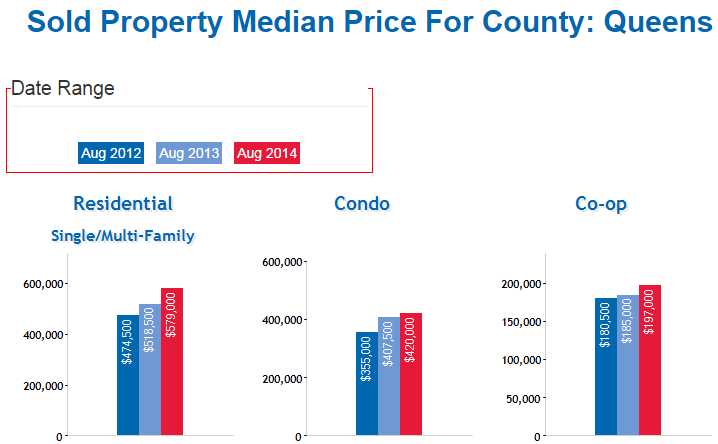 All in all, home, Coop, and Condo prices are continuing to increase this year. 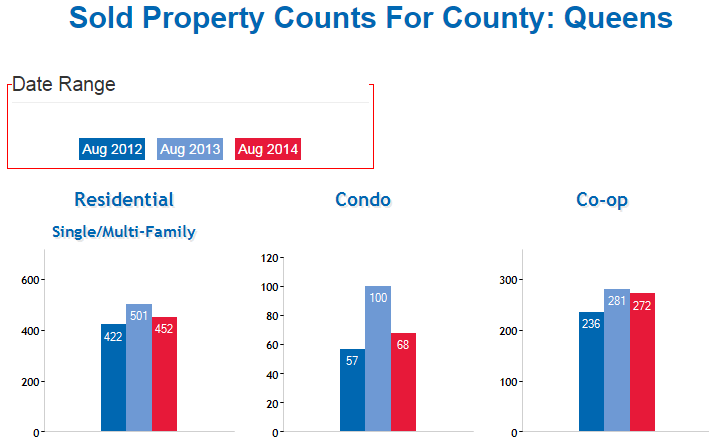 The number of homes available for sale was down 6.6% from last year, with 5,627 Queens Homes, Coops, and Condos available for sale in August. That translated to 7.9 months of supply, keeping the market slightly in favor of sellers in most neighborhoods, especially Residential and Condo home sellers. With less homes on the market across Queens county, buyers have less options so in many markets timeliness will be a big factor when putting in an offer on a home, coop, or condo.